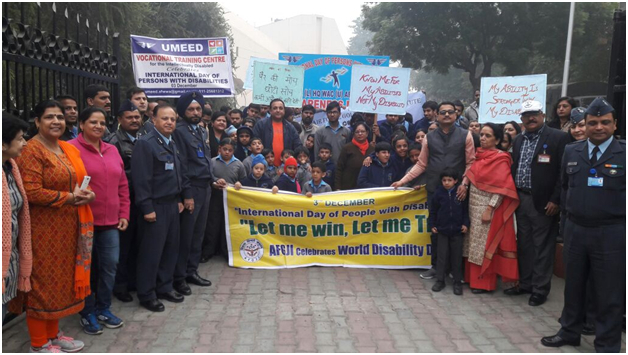 On 5th Dec 2017, AFGJI Special Wing and UMEED participated in "Disability Awareness March" on the occasion of World Disability Day (3rd Dec). 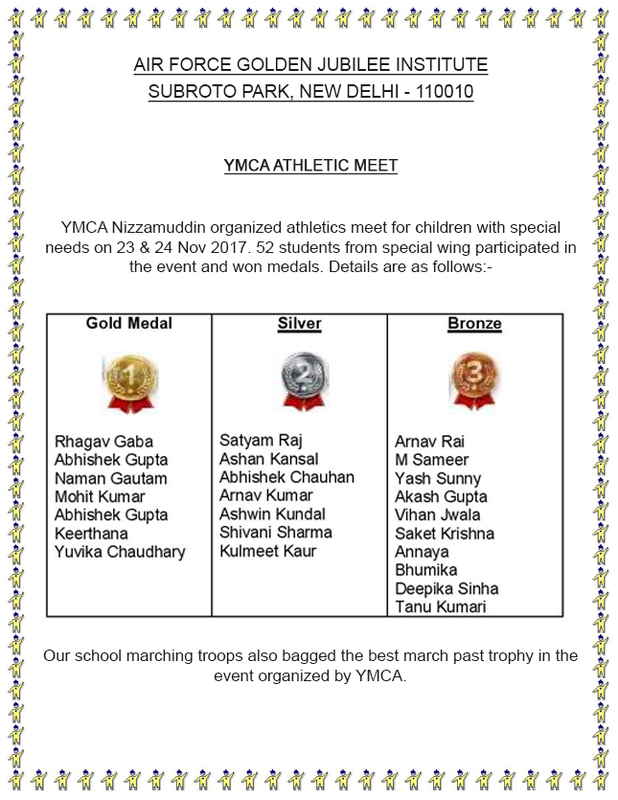 This march was organised by AFWWA (local) WAC unit Subroto Park in collaboration with SMC, Subroto Park. 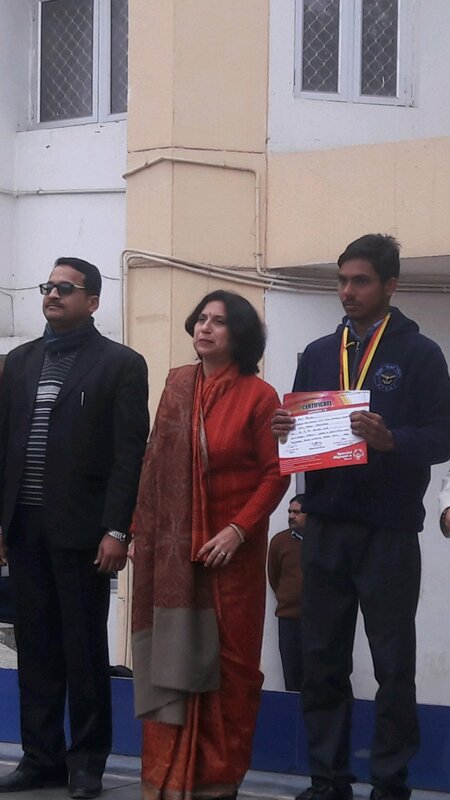 Flagged off by Mrs. Raman Sharma and Group Captain Rajive Sharma, the March was started from Air Force Auditorium Gate and concluded at AFWWA, Sanchita Complex. About 90, students intellectually and physical challenged participated in the March. An human chain was formed en- route from Auditorium gate to Sanchita Complex by the students AFGJI (Primary and Senior wing ), TAFS and WAC (Primary wing). 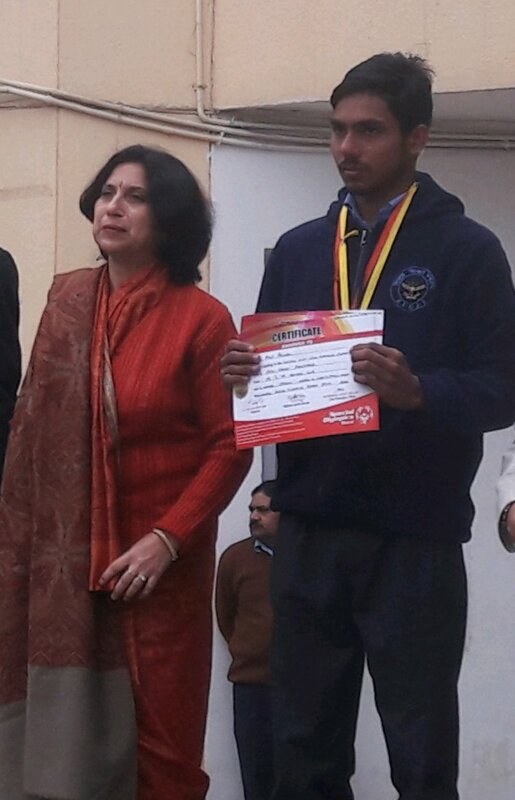 This whole strength of students who cheered up the children with disability is a symbol of inclusion, support and sustenance society for all. All the participants from special wing and UMEED were given refreshments and T-shirts.